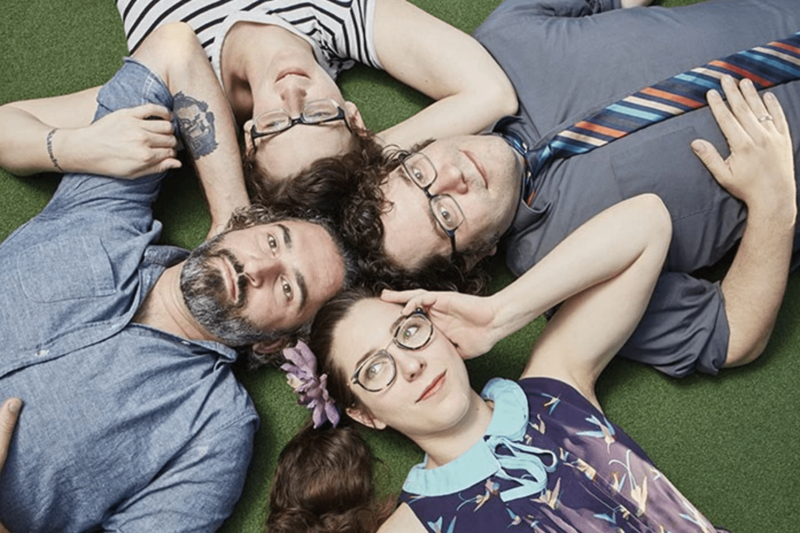 Parallelogramophonograph (Kareem Badr, Kaci Beeler, Roy Janik, and Valerie Ward) has been performing together for over 12 years and 700 shows (and counting!). They specialize in improvising full-length plays, showcasing a range from delightful and frenzied to dark and sinister. PGraph have toured internationally and performed at the most prestigious improv festivals in the world as well as the Edinburgh Fringe Festival in Scotland. Their love for theatre and a hive-mind-like ensemble combine to produce some of the most unique live theatre you’ll ever see. 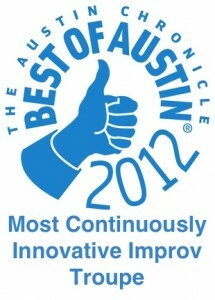 PGraph has received “Best Improv Troupe” in the Austin Chronicle’s 2016 “Best of Austin” Awards (and were a Finalist for the 2017 awards), a 2009 B. Iden Payne Award for Outstanding Achievement in Improvisational Theatre, a 2016 Austin Critics Table Award, and a 2012 ‘Best of Austin’ Critics Award for “Most Continuously Innovative Improv Troupe”. Members of PGraph regularly teach and direct shows at The Hideout Theatre. Every THURSDAY at 8pm, Parallelogramophonograph takes the Hideout Theatre stage all to themselves (for those of you who have seen PGraph before, as of 9/01/18, they are no longer on Fridays at 10pm but rather THURSDAYS AT 8PM! Early risers rejoice!). To find out more about PGraph visit their website or Facebook page.